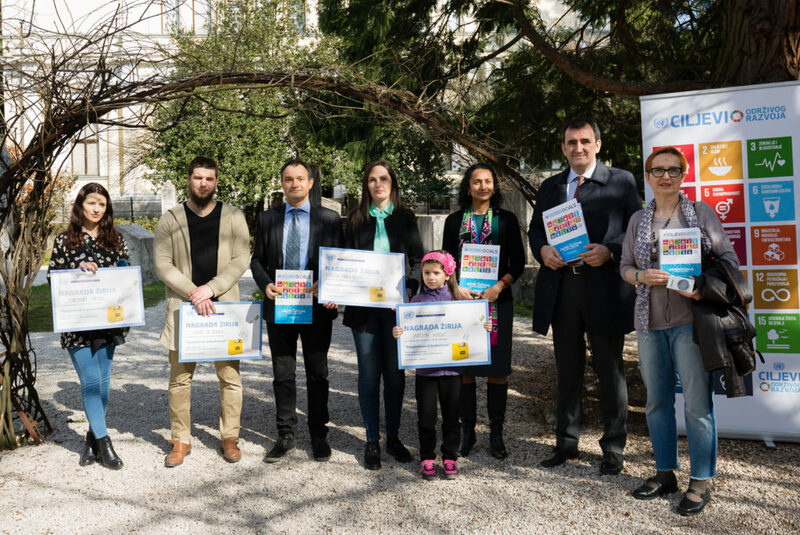 On the International Day of Happiness, United Nations Country Team in Bosnia and Herzegovina presented awards for the best art works in the contest “Postcards from the Future”, as part of the promotion of Sustainable Development Goals. 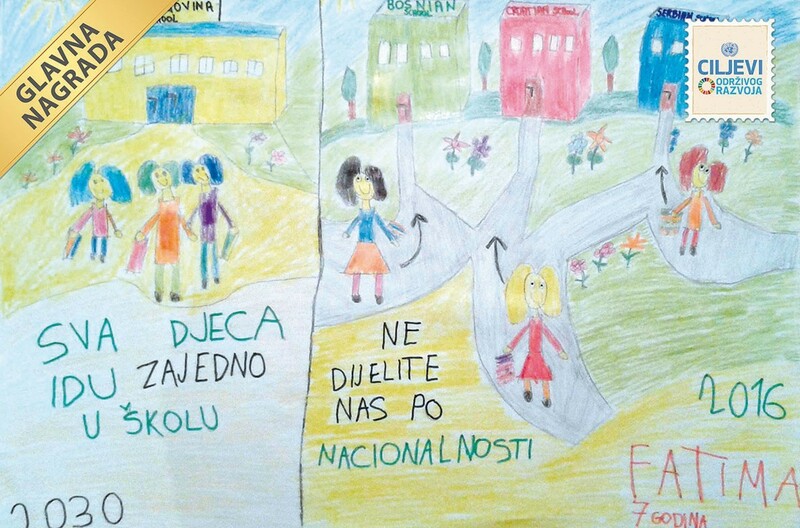 The youngest award-winning author is seven-year-old Fatima Kadić, whose vision of the future is a world without divisions. “I wish that my friends could go to school together. We get together and we play together, until we have to go to school where we are separated in class”, said Fatima, accepting her award. The award ceremony at the National Museum marked the end of competition, during which more than 200 (two hundred) visions of the future were sent to the UN Team by authors from all over Bosnia and Herzegovina. The authors of the awarded art works are Fatima Kadić from Jablanica, Ermina Resić from Sarajevo, Darija Malešević from Banja Luka and Dino Vejzović from Mostar. The award grants equivalent of 500 BM were presented to the winners by Siniša Šešum, Head of the UNESCO office in BiH, Victor Olsavszky, Head of the World Health Organization, Geeta Narayan, UNICEF Representative in BiH, and Mila Melank, Secretary General of Association of Artists and Applied Arts of BiH. Illustrations, photographs, drawings and collages that represent visions of the futures and the world in 2030 will in the upcoming months be on display at the United Nations House in Sarajevo, as well as in galleries and museums around the country. Geeta Narayan, UNICEF Representative in Bosnia and Herzegovina.